There is a need to move away from the 'germ theory' in treating infectious diseases and start focusing on the patient in a more wholesome manner. Ganiyari, Chhattisgarh: ‘Incompatible with life’. That’s a death sentence, backed by medical science and given by doctors to thousands of Tuberculosis patients around India. 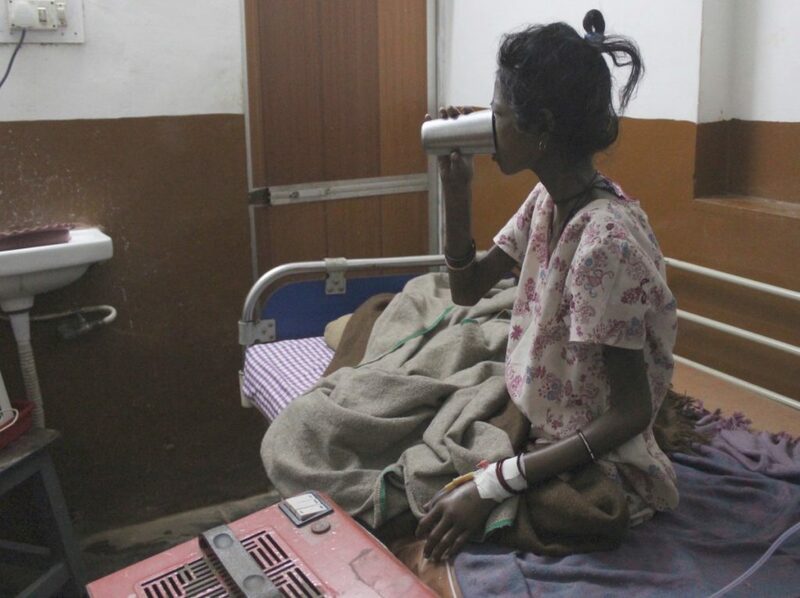 And 25-year-old Rani, a tribal woman who is a Tuberculosis patient at the Jan Swasthya Sahyog hospital in Chhattisgarh, is tottering on the brink of this sentence. When Rani arrived at this hospital three months ago, she had a body mass index (BMI) of nine. Any BMI less than 13 is medically classified as ‘incompatible with life’. Rani is an adult woman but could easily be mistaken for a child. TB has devastated her body, and she is all bones. “I’m getting hiccups,” she said faintly, and her mother had to help her drink water. The approach to tackling TB the world over has been bacteriological: medical science and public policy have focused on the TB bacteria – Mycobacterium tuberculosis – as being the cause for TB. Strictly speaking, it is the cause for TB. Yet the bacteria itself remains present, latently, in thousands of people, especially in TB-heavy countries like India. But TB doesn’t manifest in all people who carry the bacteria. How does this happen? This is because the mere presence of the bacteria may not itself trigger TB. But the bacteria accompanied by other bad influences, ‘risk factors’ and ‘co-morbidities’ can flare the latent bacteria to manifest itself as TB. Rani in Chhattisgarh has the odds stacked against her, and she is one of India’s thousands of TB patients. According to the Global TB Report 2017, India saw 28 lakh new TB cases and 4.2 lakh deaths of patients with TB. 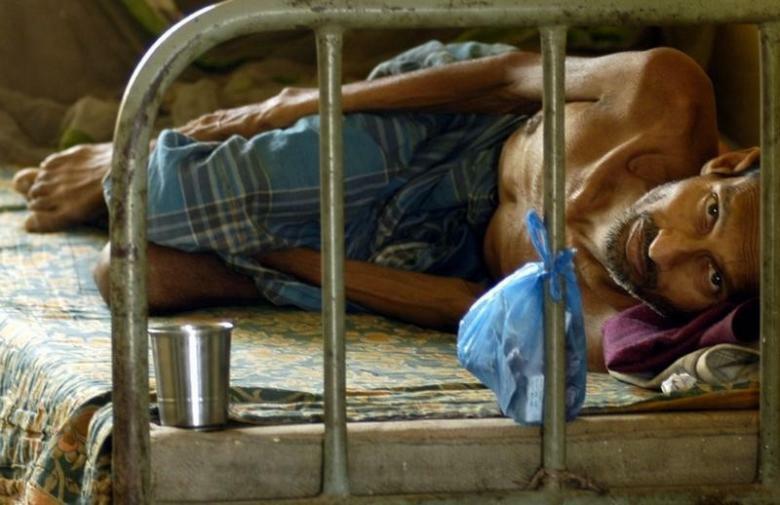 But the ‘germ theory’ approach to TB has meant that medical science and government intervention do not focus on links such as the “jugalbandi between undernutrition and TB,” says Dr Yogesh Jain at the JSS hospital. The global goal to eliminate TB has been set at 2030. The Modi government has committed to achieving this by 2025. India has the highest number of TB cases in the world. According to Tribal Health in India, a government of India report submitted in 2017, malnutrition in tribal areas is a “paradox.” Malnutrition, which is considered as stunting in children and low body mass index in adults, is “unacceptably high” and is far more than among non-tribal populations. The status of pulmonary TB in tribal areas is also significantly higher than the rest of the country: tribal areas see 703 cases as against 256 per one lakh. The likes of Rani, living in tribal parts of Chhattisgarh, are living these statistics out themselves. But yet policy makers in India do not act upon these linkages. 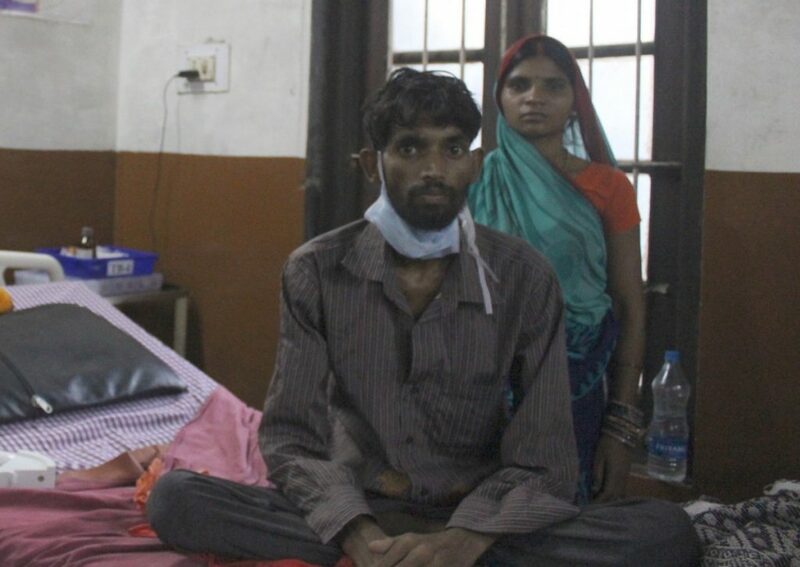 “Undernutrition is the most widely prevalent risk factor for TB in the Indian population, and it is also the most widely prevalent comorbidity in patients with TB in India. But this is a correctable and modifiable risk factor,” says Dr Anurag Bhargava, a TB researcher and currently a professor at Yenepoya Medical College. India started recognising the nutritional support aspect of TB control in 2017. The National Strategic Plan for Tuberculosis currently has a budget of Rs 5527 crore for India’s projected nine million TB patients. Of this, Rs 1,200 crore is for nutritional and social support for patients. Nutritional support means a ‘sustenance’ of Rs 500 per month (USD 8) during the treatment of TB via a direct benefit transfer to the patients. But the government is still only looking at nutritional support to help TB patients strengthen themselves during ‘treatment’ of TB. Doctors like Bhargava and Jain are saying that the government should be looking at fixing India’s nutrition problem to ‘prevent’ TB and not just treat it. This would be a radical shift in India’s approach to TB control. India also contributes the largest burden of TB patients globally. India struggles with keeping its people nourished. According to the latest Global Hunger Index, India ranks 100 out of 119 countries. In Asia, only Pakistan and Afghanistan rank lower than India. India contributes a third to the global burden of undernutrition. India also contributes the largest burden of TB patients globally. As a solution, the government has announced a support scheme of Rs 500 per patient per month to help them buy better food and nutrition. Patients receive the money through bank transfer, and they would all need to be linked by Aadhaar to the government’s transfer system, ‘Nikshay’. 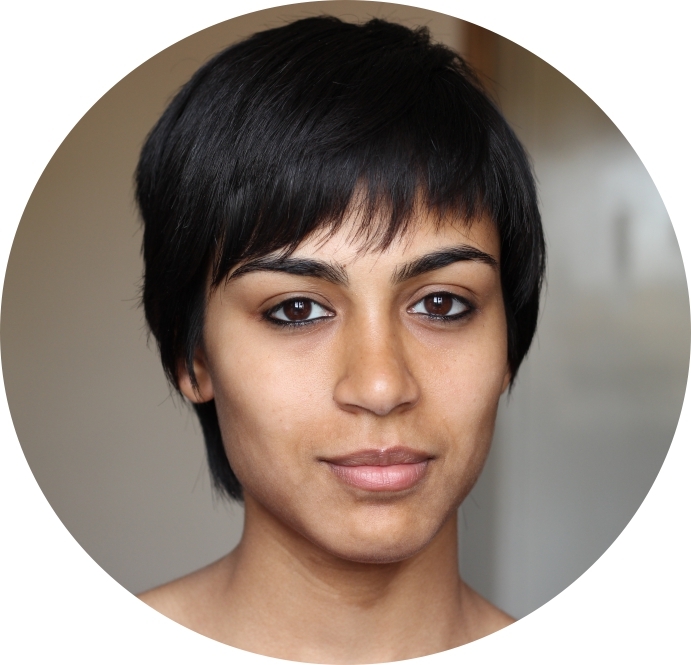 “The feedback we have from the ground is that the DBT scheme has numerous challenges. First, access is an issue, there is little awareness. Moreover, the amount is too little and many patients think it’s pointless to apply,” says Chapal Mehra, a volunteer with Survivors for TB. Mehra says that despite the government clarifying on Aadhaar cards not being necessary for treatment, there is still confusion among health workers and patients on the ground. For Rani to access the government’s ‘nutritional support’, she would have to go to give her biometrics at a government centre, wait for the Aadhaar card to be delivered to her address, then withdraw the monthly money and then go and buy her ration herself. While the government has listed nutritional support as its strategy to ‘treat’ TB, it has also said contradictory things on this. On one hand, it has said that Aadhaar won’t be necessary for TB treatment; on the other, it has made Aadhaar mandatory for receiving the nutritional support amount of Rs 500 per month. And yet, the Rs 500 is listed as a component of ‘treatment,’ as per the government’s own policy documents. Apart from the un-enrolled, even those who are trying to access this meagre amount are also having problems. A report in The Tribune this month said patients in Ludhiana have not been able to get their benefits for a month and a half. “Though the amount is small, it means a lot for a poor person like me. I use the money to buy eggs and milk but failed to do so last month,” said one TB patient in Ludhiana.